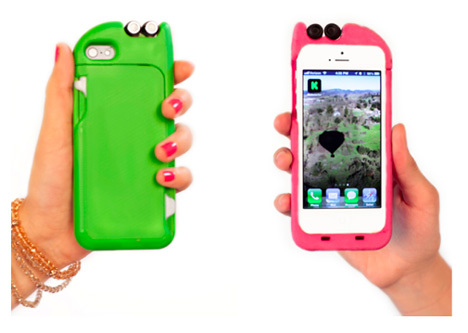 This iPhone case would make Batman proud. 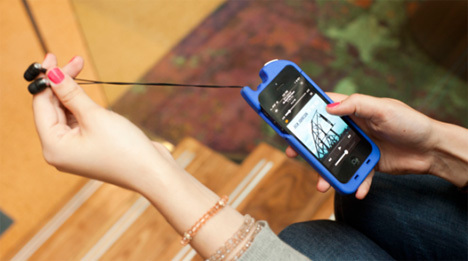 Like something from his utility belt, this smartphone protector has a hidden tool: earbuds. 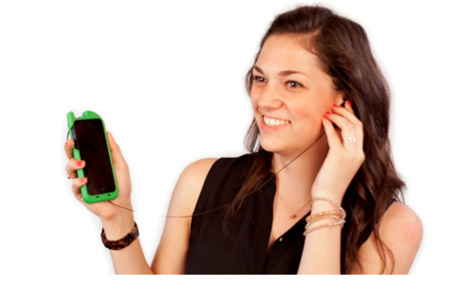 The TurtleCell iPhone case has retractable earbuds. Located at the top corner, it protracts up to four feet. While that amount of hardware may seem like it would add too much bulk, it only adds 6mm to the thickness and 25mm to the height of your iPhone. The two designers are working through (you guessed it) Kickstarter to get the TurtleCell into stores. They hope to ship them just in time for the holiday season, but you can pre-order one now for a $50 donation. We hope future additions to the case include a grappling hook and throwing stars. See more in Phones & Mobile or under Gadgets. July, 2013.